The Cherry Energy Difference – Rooted in our past, we embrace the future to serve our clients today. 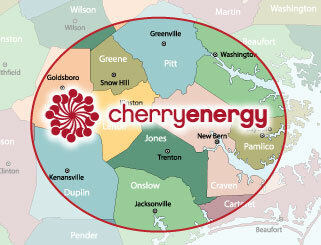 Cherry Energy is a family-owned business built on service, expertise and a progressive approach to providing energy. Whether working with home or business owners, we constantly look for innovative, holistic and smart solutions to the challenges our customers face. Although we have more than eight decades of history behind us, Cherry Energy is among the most forward-thinking oil and gas companies in the Southeast, where we’ve made a full commitment to embracing alternative and renewable fuels. The Cherry Energy Mission is to deliver a superior experience and smarter energy solutions for our customers.